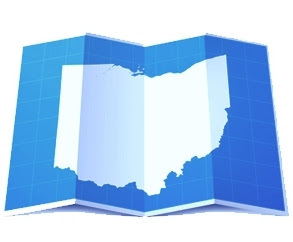 Borrowers who financed their commercial real property in Ohio with a nonrecourse loan will soon be better protected from inadvertently triggering the full recourse provisions in the loan documents. Many borrowers finance a commercial property such as a hotel loan, retail strip or multi-family housing, through a commercial mortgage-backed securities (CMBS) loan, also known as conduit financing. These loans have a lot of up-front costs but are attractive to borrowers because of the nonrecourse provisions. Nonrecourse to the borrower and guarantors means the lender can only look to the collateral (i.e., the real property that is the mortgaged as security for the loan) if there is a default and cannot pursue the borrower or a guarantor for a deficiency balance. All such nonrecourse loans have a carveout to the nonrecourse provisions that allows a lender to go after the borrower or guarantor if certain actions have taken place. These acts are commonly referred to as the ‘bad boy’ acts. The common understanding of the parties has always been that the borrower or a guarantor would have to affirmatively take action contrary to the requirements of the loan documents before the lender could pursue to them for the full amount of the loan. A couple of court decisions that came out of state and federal courts in Michigan at the end of 2011 turned this assumption on its head. Due to vaguely written language in the loan documents, the mere insolvency of the commercial project was sufficient for the courts to allow the lender to seek full recourse against the borrower and guarantors even though the property’s financial problems were due to the bad economy and real estate downturn, and none of the parties had affirmatively committed any act to cause the insolvency. These decisions created a stir among the CMBS markets and the State of Michigan responded by passing the Nonrecourse Mortgage Loan Act in early 2012. Despite this, borrowers with nonrecourse loans on properties outside of Michigan continued to be concerned as the decisions could still be used as precedent for actions brought in the other states. Now Ohio has passed its own version of the Nonrecourse Mortgage Loan Act with language virtually identical to Michigan’s. The effective date of the new law is March 27, 2013 and its provisions will apply to any claim made or action taken to enforce a postclosing solvency covenant on or after the effective date, unless a judgment or final order has been entered in that action.